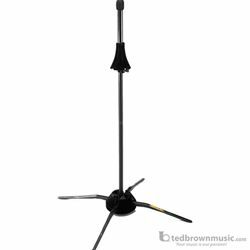 TravLite™ In-Bell Trombone stand folds up compactly to fit inside the bell of your instrument. Takes up no extra space in your instrument case. Velvet base secures snugly inside your instrument.